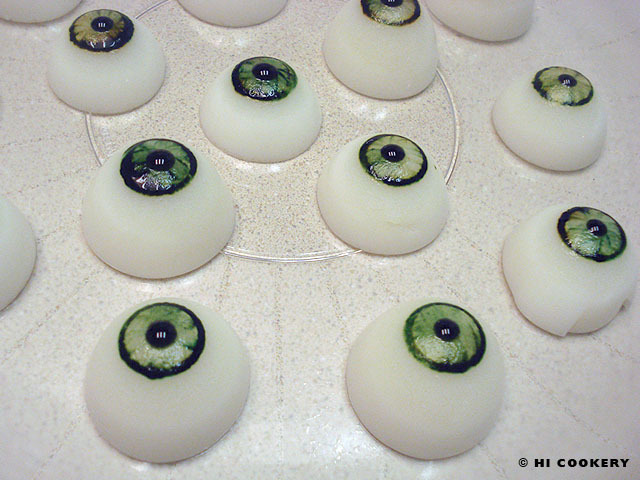 Look at these “extracted” eyes—they are a creepy yet creative cuisine for Halloween! Instead of decorating cake pops or boiled eggs (which can be time-consuming when preparing other party platters), we wanted a quick recipe for the jiggly-wiggly body part. These gelatin eyeballs have a light almond flavor and taste similar to the Asian/Chinese almond float/tofu. 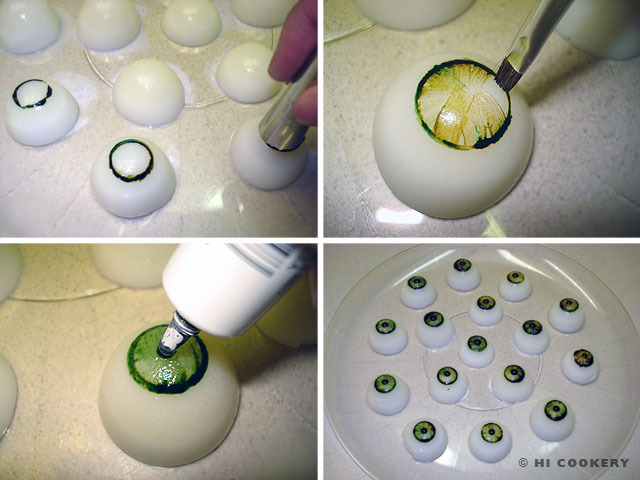 Have a ball this Halloween with easy-to-make gelatin eyeballs! 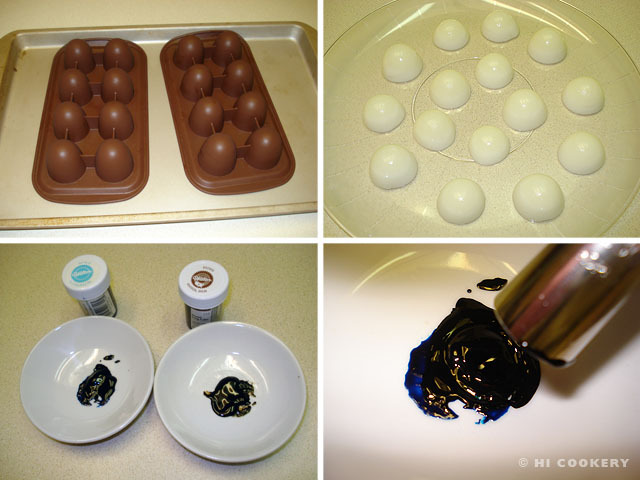 Lightly grease round molds (we used Wilton brand brownie pops mold) with vegetable oil. In a large measuring cup or small bowl, bloom the gelatin in cold water for at least a minute. Stir in the hot milk. 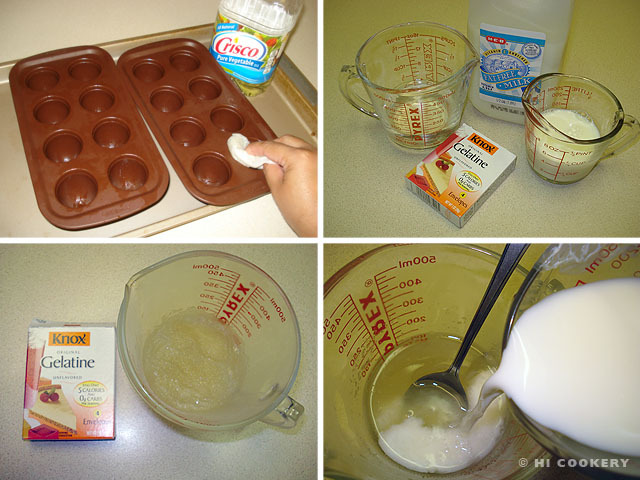 Add the sugar and almond extract. Pour halfway into the molds. 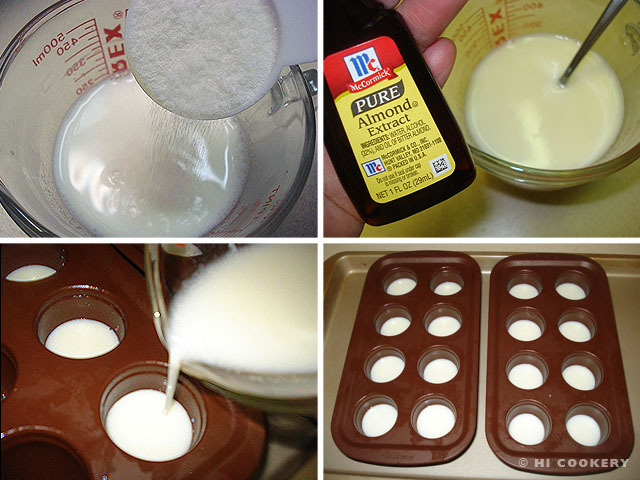 Refrigerate to set for at least four hours. Unmold the gelatin eyeballs and arrange on a platter. Dip the wide end of a cake decorating tip in food coloring. “Stamp” the “iris” onto the center of the “sclera” (eyeball), twisting slightly. Use a food-safe brush to paint towards the center of the circle to create the “iris” effect. Squeeze a small dot of black tube gel icing to make the “pupil”. Refrigerate until ready to serve. Yield: 16 (or 8 pairs) of gelatin eyeballs. For bloody eyeballs, decorate with red tube gel icing. For Christmas, re-use the brownie pops mold and make Rudolph the Red-Nosed Reindeer Brownie Pops.